Nestled in the collections of two museums in Bega are items of machinery and equipment used at a historical farm in Elmgrove. Their original owner, Mr. George Guthrey, was a pioneer of the region. In 1901 Mr. Guthrey is recorded in government records as being a registered dairy farmer living at Brian Dairy, Bega. So who exactly was Mr. George Guthrey and how did he make his way into Bega? Born on the 26th May 1855, Guthrey spent his childhood at hold diggings at Araluen and Braidwood. As a youth he worked on the construction of the railway linking Goulburn and Yass, as opportunities for education were slim. Later, Guthrey purchased a horse team and carted produce. Taking residence at Bega, he commenced dairy farming as early as 1901. Mr. Guthrey had 3 sons with his wife, Mrs. Elizabeth Sproats (born in 1865 in Eden NSW). The two married on 25 May 1886 (a day short of his 31st birthday) in Bega, where they would raise their children. 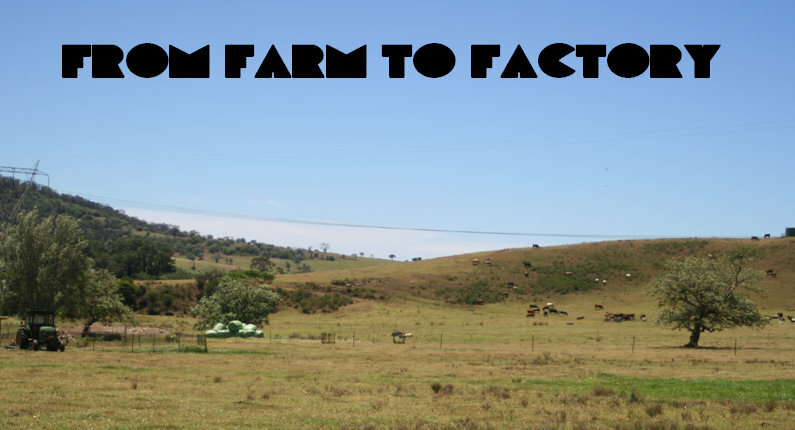 Mr. Charles Guthrey would go on to be a successful fodder farmer, having won a Bega competition in 1937 for product grown at Rockleigh (a property bestowed upon Charles by his father). Although a poor swimmer, he had at times to put his team across flooded rivers. On one occasion the horses swam across the Bega River with the waggon floating behind them. Source: Pioneer of Bega, The Sydney Morning Herald, Thursday 10 June 1937, page 9. Elizabeth would pass away on the 9th of May 1929, then living at their property at Elmgrove. Mr. Guthrey would pass away in 1946, some 17 years later. A number of historical newspapers that reference Mr. George Guthrey are available electronically here. The oddest things appear in photographs - well, maybe not too odd. I was taken by the three Herd testing Centrifuges on the bottom shelf of the Milk Can Stand. At least, that is what they appear to be. We have the middle one at Maffra, although ours is black. They also appear in a couple of other collections with which I work - I am off to dig them out and post further. If you show me your centrifuges, I'll show you ours!